Please join us for a Concert of Christian Choral Music on Saturday, September 10th @ 7PM. The concert is organized and directed by Olga Platova, a conductor and choir leader at our school. 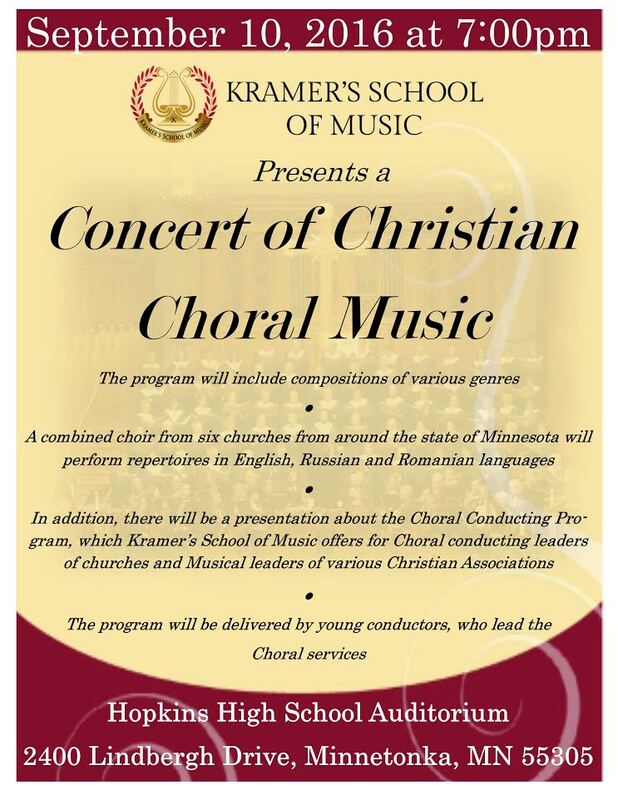 The concert will feature a 200 member choir led by student conductors. Concert is FREE to the public. Eleonora started teaching my son, Anirudh, when he was 5. She is a very dedicated, talented proficient piano teacher. She is very patient and follows a high standard in her teaching. She supports and encourages to progress and work towards perfection. I am also very much impressed with her senior students during the recitals. My Son enjoys her lesson a lot.